Jesus had many considered to be His enemy, and we who follow Him will have our share as well. 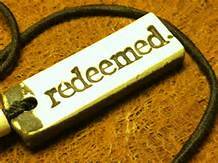 We are redeemed from so much in the Lord including from our enemies. The Israelites were redeemed from their enemies just as we are from ours today if we have total reliance on God. (Psalm 106:7-11) Our fathers understood not thy wonders in Egypt; they remembered not the multitude of thy mercies; but provoked him at the sea, even at the Red sea. Nevertheless he saved them for his name’s sake, that he might make his mighty power to be known. He rebuked the Red sea also, and it was dried up: so he led them through the depths, as through the wilderness. And he saved them from the hand of him that hated them, and redeemed them from the hand of the enemy. And the waters covered their enemies: there was not one of them left…….. (Psalm 25:18-22). The power of the grave has no power over the children of God, as their Lord has redeemed them from the power of death and the grave! (1 Corinthians 15:55-58) O death, where is thy sting? O grave, where is thy victory? The sting of death is sin; and the strength of sin is the law. But thanks be to God, which giveth us the victory through our Lord Jesus Christ. Therefore, my beloved brethren, be ye stedfast, unmoveable, always abounding in the work of the Lord, forasmuch as ye know that your labour is not in vain in the Lord…….. (Hosea 13:14).